Quality control is the life of the GQZ bearing during producing. While producing bearings,there is 5 process we inspect the bearings part make sure every of the bearing part we produced will reach the ISO9001 standard. After bearing assemble,we will test every bearing we produced to make sure that the quality is good. 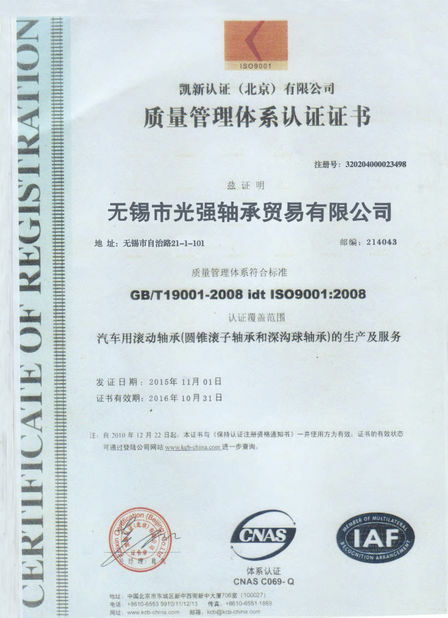 And we will give our customer 1 year's quality guarantee of the bearings.